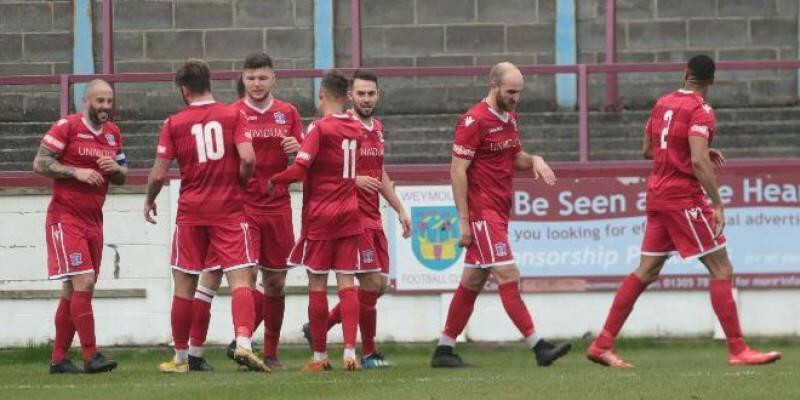 A harsh penalty decision was the difference between Swindon Supermarine and Weymouth as Lee Spalding’s men went down 2-1 at the league leaders on Saturday. Marine held their own for the vast majority of the first half, but a lapse in concentration from their wide men allowed Weymouth to get in down the left and set up the opening goal. Spalding’s side responded through Stuart Fleetwood shortly into the second half, however a debatable handball decision gave Weymouth the chance to respond immediately from the penalty spot. We deserved at least a draw!